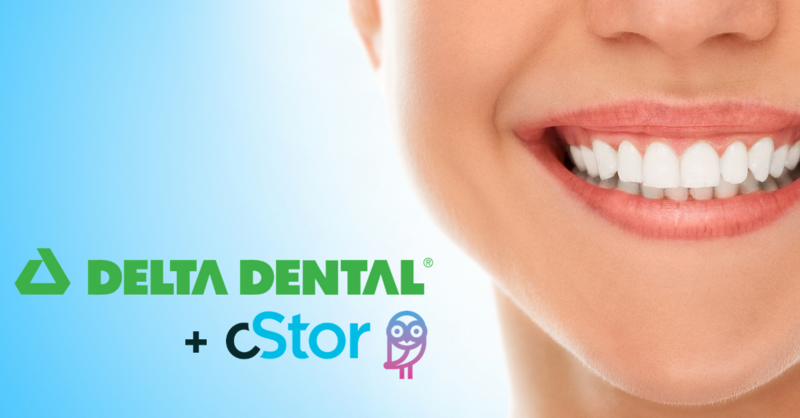 SCOTTSDALE, Ariz., September 25, 2018 – cStor, a leading provider of data center, cloud and cybersecurity solutions, announced today that Delta Dental of Arizona has chosen cStor to assist in advancing their strategic cybersecurity plan to add new protection measures to their critical patient and corporate data. The new plan will be designed to provide a sustained, long-term information security framework that will enhance existing security protocols. As the largest dental insurer in Arizona, Delta Dental of Arizona has been continually advancing their information security practices, and leaders saw a clear need for a broader cybersecurity strategy that can more holistically evolve as the threat environment evolves. The expanded plan will encompass data, infrastructure and physical location security, and will be implemented by the Delta Dental team with support from cStor. The project entails a comprehensive assessment of their current environment, creation of a long-term plan and a specific transition timeline and roadmap. If companies only employ cybersecurity point solutions, they are going to miss something – potentially something big that could be devastating to the overall business. cStor helps companies strategize, create and implement data center, cloud and cybersecurity solutions that help clients use IT to enable business transformation, reduce costs and gain competitive advantage. cStor’s proven capabilities with key cybersecurity, data center and cloud technologies give clients the ability to collaborate with certified experts, and the confidence to move business forward faster and more efficiently than ever before. cStor serves clients across the southwest region with a focused, collaborative approach and superior results. For more information, visit www.cstor.com.